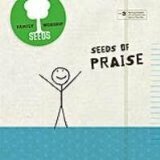 We thought we’d share with you a few resources that have been a blessing to our family recently. Hope some might be a blessing to you too! 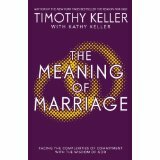 Meaning of Marriage – by Tim Keller – My cousin recently told me that this was hands-down, the best book she’s ever read on marriage. That caught my attention and I recently read the book and found it to be excellent, just like she said. It is insightful, biblical and paints a beautiful and inspiring vision for what a Christ-honouring marriage can and should be. Highly recommend it. Saying Goodbye – This video was recommended on an American blog post, so I was surprised to find it was produced by a UK charity that offers support to those who have experienced baby loss. This video touched me so much and I have watched it many times over the past few months since we lost our baby. Peter and I also decided to attend one of the Saying Goodbye cathedral services at the end of March. We went into it a bit skeptical about what the service might be like but it really surpassed our expectations. The music was beautiful and included the song, I Will Carry You by Selah, (click here for a video of the song) which we had heard before and has touched us very much. There were other songs, Scripture readings, poems and chances to acknowledge the little one(s) those attending had loved and lost. All in all, it was a precious time for us in a beautiful cathedral setting. We both cried through the whole thing but we found those tears to be healing. Saying Goodbye offers these services regularly in different parts of the country. I share our experience with the hope that maybe someone else might be helped by these videos or a service in their area. Nancy Guthrie – Along with a few others from church, Peter and I recently went to day conference called, “Ministering to Broken Hearts.” The speaker, Nancy Guthrie, and her husband David, have experienced the loss of two of their children and gave us some excellent teaching on how to help people who are grieving. I have typed up my notes from the conference and would be glad to email them to anyone who would like a copy. We also bought some of Nancy’s books at the conference. 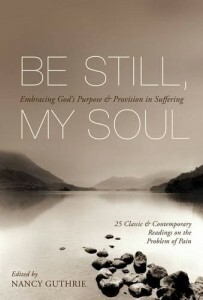 I am almost done with Be Still My Soul, which is a compilation of “25 classic and contemporary readings on the problem of pain.” God has really been using it in my heart. Each chapter stands alone and can be read in a short sitting. I am looking forward to reading some of the others we bought: Hearing Jesus Speak Into Your Sorrow, Holding Onto Hope, and The One Year Book of Hope. 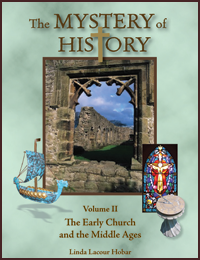 The Mystery of History – Lastly, a homeschooling resource. We used volume one of this homeschool history curriculum last year and though it was phenomenal. It covered ancient history from a Christian perspective – from Creation to the Resurrection. We loved how it tied together secular ancient history with Bible history. The kids begged me to use Volume Two this year and we have also greatly enjoyed this one! As a mum, I love how I can read the lessons to all my children but there are age appropriate activities for all of them. It also includes quizzes, worksheets, map assignments, exams and timeline activities. The author often focuses on people rather than events. I like this as I think it’s much more interesting to study history biographically. The author also writes in a very conversational style that is fun and easy for the kids to listen to. We hope to use Volume Three and Four in the future! Hope some of these reviews were helpful to you!